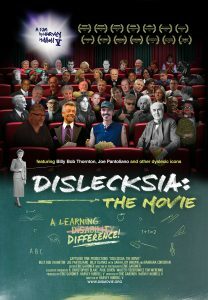 This evening at the historic Warner Theater will include a screening of Dislecksia: The Movie, followed by a panel discussion comprised of reading and learning style experts. The film and discussion panel will explore best practices in reading instruction, early intervention and learning differences detection, and the socio-economic and emotional impacts of marginal reading/illiteracy. Panel will include Dr. Margie Gillis (President and CEO of Literacy How), Karen Debari (Wilson Language Trainer), Dr. Laura B. Raynolds (Associate Professor of Reading, SCSU), Dr. Regine Randall (Graduate Coordinator and Associate Professor of Reading, SCSU), Kelly Howard (Decoding Dyslexia), and Dena Mortenson (Waterbury Public Schools ELA Supervisor). The panel will be moderated by emmy-award winning filmmaker Harvey Hubbell V (Dislecksia:The Movie). The scientific community has identified the very best practices in reading instruction, and we want to share them with you! Upward of 95% of individuals can read at an average or better level if given the proper instruction.